Earlier this week, France’s General Directorate of Internal Security detained six people as part of a probe into threats against President Emmanuel Macron, BFM TV reported. 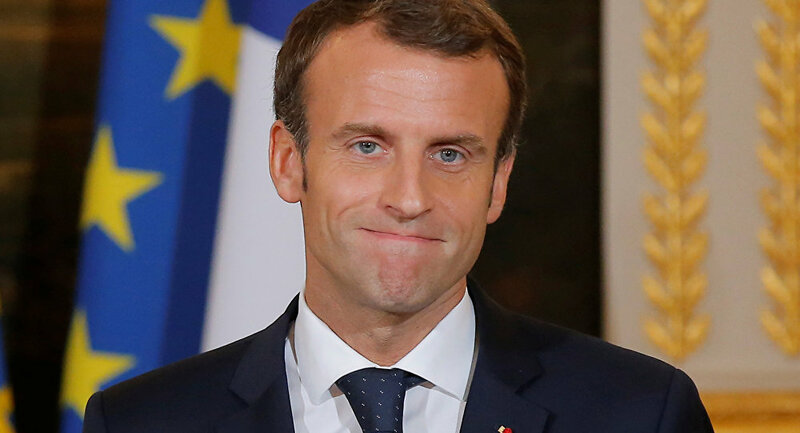 France 2 television channel reported that four suspects, currently held in custody, had revealed that they planned to assault French President Emmanuel Macron during the events marking the centennial of the end of World War I in the north of the country. The suspects reportedly detailed that according to their plan, which was devised by their alleged leader, 62-year-old former entrepreneur, Jean-Pierre B, they were supposed to attack the President of the Fifth Republic with a knife on 7 November in the town of Charleville-Mézières. Jean-Pierre B. had been under the supervision of the French General Directorate of Internal Security since 31 October due to his exchanges on encrypted messaging apps, where he demonstrated a hostile attitude towards Macron, France 2 reported. During the search of Jean-Pierre B.’s car, the police found a ceramic knife that he reportedly planned to get through security checks – which unlike metal, is not supposed to trigger the alarm – and use against Macron as he walked through crowds in the northern city. Five men and one woman were arrested in raids in three different regions of France on 6 November, with BMF TV reporting that the suspects, aged between 22 and 62, are believed to be linked to a radical movement. According to the same broadcaster, the law enforcement discovered a 45 calibre pistol and detonators from grenades during the searches at the apartments of those arrested. The plot was exposed just days before over 60 world leaders, including Russian President Vladimir Putin, British Prime Minister Theresa May, POTUS Donald Trump, as well as German Chancellor Angela Merkel arrived in the French capital to mark the 100th anniversary of the end of World War I. This is not the first assassination plot against the French president: in July 2017, the police arrested a 23-year-old man on suspicion of planning to kill Macron during Bastille Day celebrations.